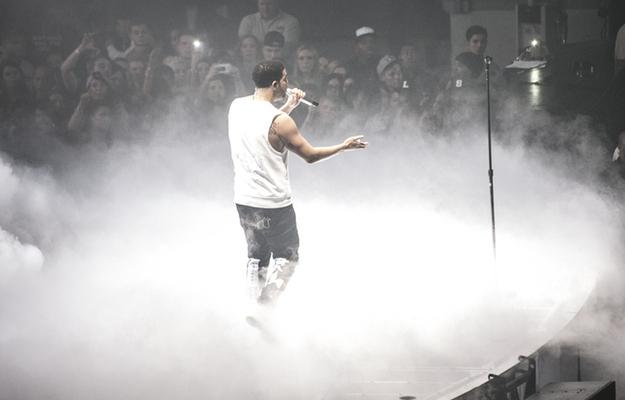 We had blast at the Drake - Would you like a Tour" Concert - DJ Opening. The Show was quite impressiv in terms of Effects, Visuals and Presentation. The Event started with our Dj-Set. Afterwards - The Weeknd - performed with a great show and beautiful voice. Then Mr. Champaigne Daddy had his BIG SHOW which lasted 2 hours. You can check the impressions of the whole Concert here ! Spinnin' in Colognes most exklusive!